Very quickly it was clear from the quality of work and responses to complaints that the company is a quick and dirty, grab the money and run type of operation. Every aspect of the project showed evidence of cutting corners, hiring cheap staff and leaving jobs incomplete. In the end I refused to make the final payment, they accepted this and disappeared into the sunset. 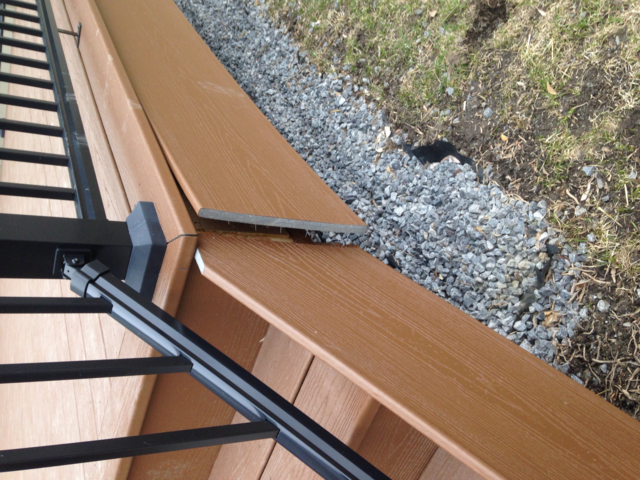 Frankly, they ruined our very real excitement of a nice new back deck, that I am now hiring another company to finish.Beware of Empire Deck and Fencing and if considering them, know they are a low end company - be careful not to pay for more than that. Recently the owner and project manager of Empire Deck and Fence came to visit me in an effort to try and resolve outstanding issues. The plan is for them to come back in the spring and make spring and do additional repairs to the original job. I look forward to the future repairs and a satisfactory completion of the contract. I'll further edit this post in the spring once the work is done.